Art Fair is here again, finally. It’s a huge celebration of art; and even if you’re not visiting the transformed parking space at The Link to buy works of art, it’s still an enjoyable time for art lovers. It’s almost exhilarating seeing all the galleries in one building just right next to each other, paintings and sculptures spread out just like they would in a regular exhibit. This year, the fair will be holding 55 exhibitors from 36 local and 19 international galleries, with 12 featured artists. Here are some of them. “A Stitch in Time” is an interactive piece where guests are invited to literally stitch onto long swathes of cloth. First conceptualized in 1968, it has been exhibited in various locations all over the world, the most recent being the 2017 Venice Biennale. 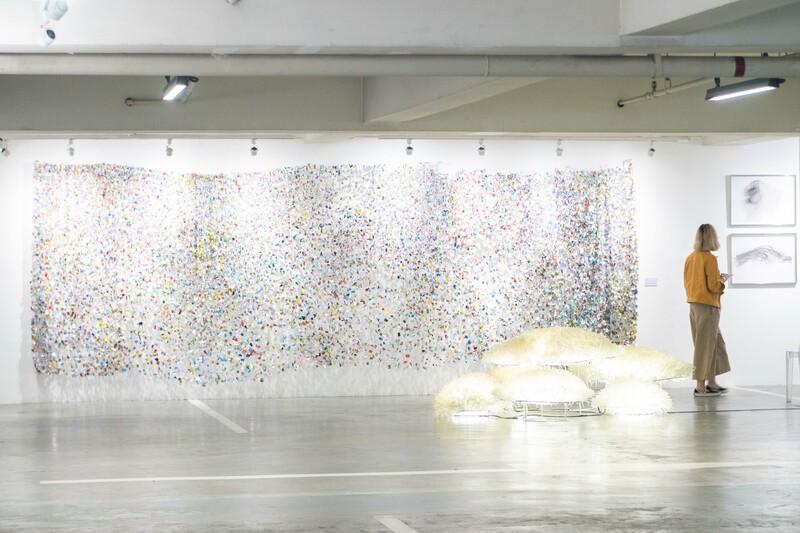 Art Fair 2019 is its first Philippine run. 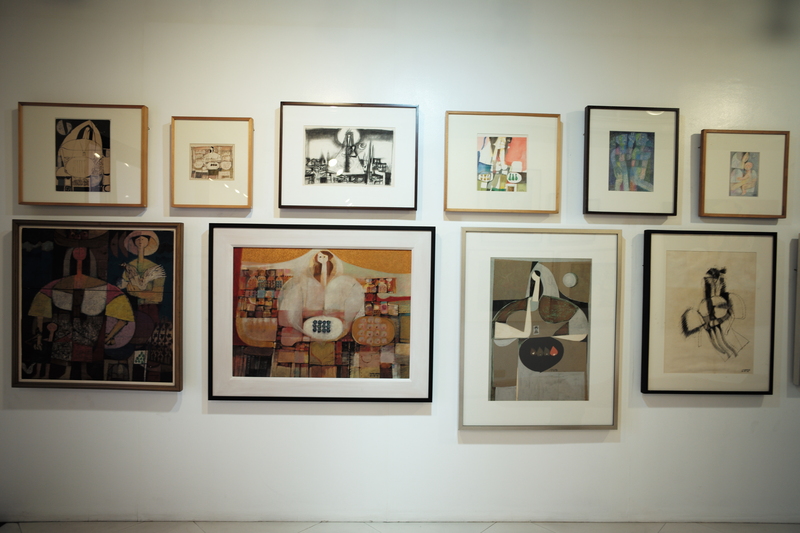 Curated by Soler Santos, the exhibit “Malang’s Women” features a collection of prints and drawings in various mediums by Malang from the family’s private collection. 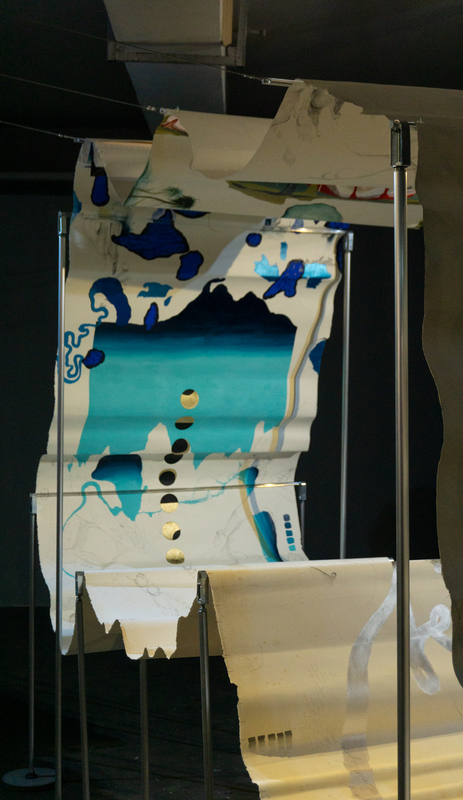 “Nung Gambalain Yung Sayawan/The Disruption of Dance” is reminiscent of a Mӧbius strip in that a scroll, with its two sides meeting, is suspended over the space. The scroll, which features images and text, questions time, history, and chronology. The best thing about Art Fair is how it’s able to gather a diverse spring of talent. There are the works of esteemed artists like Medalla and Malang, but alongside those are the creations from young artists, fresh faces ready to carve out a name for themselves. What’s something you quickly notice when you visit Art Fair? It’s filled with a lot of young people. Art appreciation may have been the domain of the old and the rich, but millennials have taken over the game—and they’re crushing it. Nothing’s more representative of that than the works of these young art lovers themselves. The new breed of artists are creating works that are diverse, ingenious, and masterful. Check them out. One of the cooler things about the new breed of artists is that they’re not afraid to make pieces that are explicitly sending out a message in a way that’s so straightforward you immediately know what it’s about. Señeres’ “Worse Code” series is like that, depicting scenes of Manila’s poor waste management system. He even has a shelf of eco-bricks, plastic bottles filled with trash, a band-aid solution to a clearly preventable problem. Helmuth’s “Swimsuit Series” are oil-on-canvas portraits of women wearing bikinis. It’s a marked difference from how women in tiny pieces of clothing are often portrayed: These are not the voyueristic drawings of pin-up girls. Instead, Helmuth’s diverse groups of women stare back at the viewer, baring their bodies in self-confident indifference. “Naneri” is an army of identical young school girls, their only differentiator being the color of their skin, their bowl cuts, and their uniform. Their solid-colored berets emblazoned with inverted red triangles are reminiscent of the red star beret of the Chinese communist army, with rebellious femininity replacing communism (inverted triangles are often used to symbolize femininity, most notably with the tantric yoni). The “Symbol of The Apostles” triptych is a collage showing a dark dystopic future (reminiscent of 1985’s Brazil), contrasted with images of heavenly figures. The biblical allegory is heightened by the shape each image of the triptych takes on, the gothic stained glass windows in hallowed churches. “Sailing into curiosity” is a series of tiny toy figures depicting a banana split—but with candy-colored skulls on a banana-shaped like a balangay—and bones and rotting guts on top of tree stumps. It’s a powerful statement on colonialism, a voyage that means adventure to the colonizer but spells death to the colonized. “Moments Passed” is an oil painting of purple orchids in mid-bloom, a nostalgic remembrance of times long gone. The orchids are colored under a dream-like tint, the tint that fond memories take on. Fajilagutan, a UP Fine Arts student, presents sylph-like shapes embroidered onto a thin piece of fabric. The dreamy and languid pieces are like an abstract embroidery, a radical message on the artform that, because they’re seen as a female’s duty, has historically been dismissed by the art world. Sibugan’s ghostly black spores depict a haunting dystopian reality. The figures echo the mushroom clouds of death that arise when a nuclear bomb is detonated, and the black hues are reminiscent of smog. Bitto is in a parallel world called “The Grid,” a universe brightly colored in pink and shaped by geometric figures. That’s a description of “Bitto,” Bolarda’s alter ego under which he releases his works. By doing this, he’s created a series of works that are at once abstract and natural. “Unlearning to learn, Learning to unlearn” is a diptych about man and his relationship with nature. Coson’s oil-based series riffs on the military camouflage print. The London-based artist’s monotype works take on the print and its history of colonialism and violence, washing it down to the pale hues of its original wearers, and coloring it the curdled red of their victims. Baladjay’s collages uses wallpaper art, animals, and confident brush strokes into pieces that abstract the natural. In one collage, teal, pink, and blue saucers hover ominously around a sheep. In another, a moose is completely overtaken by a white blob, an empty space where its head used to be. Balquin presents a series of collages of abstract takes on impressionist scenes. Each piece is colored in the dreamy verdant hues of the Impressionists, but formed with pictures that queer the impressionist understanding of nature.